After many years of faithful service with the Royal Australian Navy the Westland Wessex HAS 31A & 31B helicopters are now just another chapter in the Fleet Air Arm’s history. Yet when the Wessex entered service with the RAN in 1962 it was at the cutting edge of anti-submarine technology and their 27 years of service in both front and second line roles makes them truly a part of our Heritage. When the Wessex joined the RAN Fleet Air Arm it changed the face of anti-submarine warfare, earning a significant place in the list of rotary-wing aircraft that served with the RAN. The Wessex operated as a front-line ASW helicopter from 1962 until replaced by the Westland Sea King from 1975 – serving thereafter as a utility and SAR helicopter for the fleet in Counter-Terrorism Operations for the Army, in disaster relief and as an aid to civil powers, until retired in 1989. In 1959 the Australian Government announced it would disband the RAN Fleet Air Arm in 1963 due to the difficulty of replacing the aging Sea Venom and Gannet fixed-wing aircraft – this was solved later by the purchase of the Douglas A4 Skyhawk and Grumman S-2 Trackers. But, with tensions rising in SE Asia, on-going SEATO commitments, and a growing Soviet submarine fleet – the solution (until the Skyhawks and Trackers arrived) was to use ‘Melbourne’ as an ASW carrier, equipped with cutting-edge organic anti-submarine aircraft. The Government therefore ordered 27 Wessex HAS 31As, which began delivery in September 1962. They were powered by a single Mk 162 1540shp Napier Gazelle free-turbine engine, capable of a range of about 260 nautical miles and a speed of 108 knots. The crew comprised a pilot and co-pilot and two positions in the rear cabin for sonar and electronics operators. 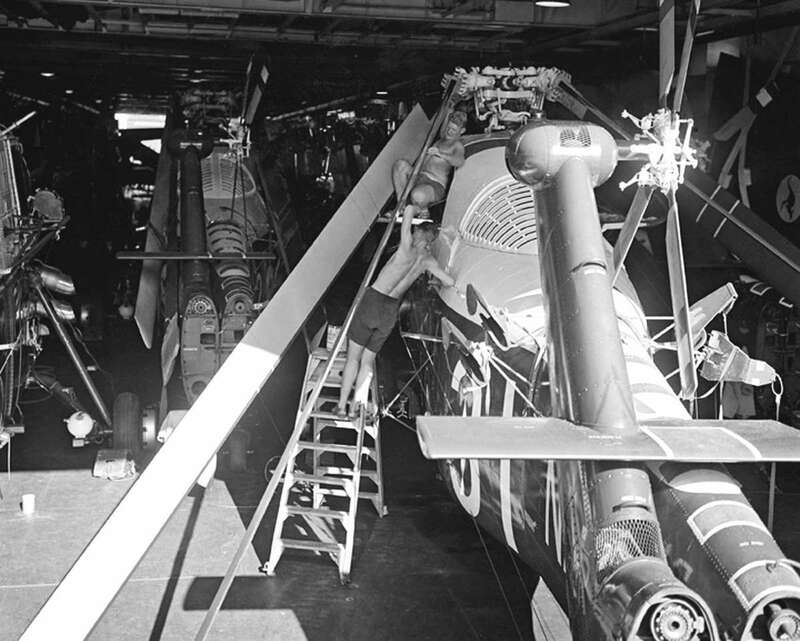 With its folding tail and rotor blades the Wessex fitted neatly into the hangar deck of HMAS Melbourne. 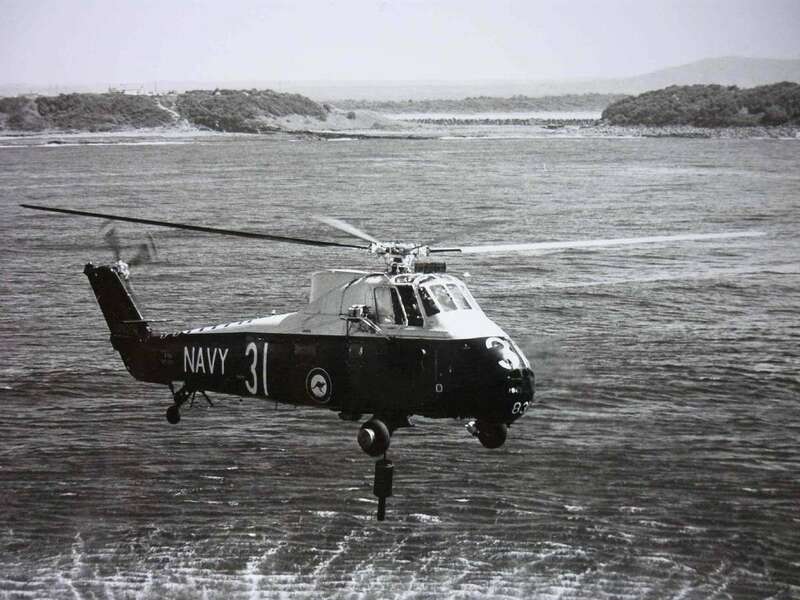 The Wessex was developed from the Sikorsky S-58 and was licence-built by Westland Aircraft Ltd at Yeovil in the UK, first for the Royal Navy as a carrier-borne anti-submarine helicopter – entering service in 1961. It was state-of-the-art and highly successful. The aircraft was also modified as a troop carrier for the Royal Marines (with twin Rolls Royce Gnome engines); and the Royal Air Force used it as their main transport helicopter until 2003. Numerous variants were exported to other countries. Besides its ‘dunking sonar’ the Wessex could carry long-range fuels tanks or light-weight torpedoes on external carriers, with flares and marker floats launched via a chute in the rear cabin. A heavy-duty cargo hook could be rigged under the fuselage to lift loads using slings. A power winch for rescue work was mounted above the cabin door. Deployable floats attached to the front wheels would inflate in the event of ditching at sea. The first flight of an RAN Wessex was by LCDR John Salthouse and took place in Yeovil, England (near the Westland Factory) on 6 September 1962. Each aircraft was subsequently tested in the UK before being partially dismantled and transported by road and sea to NAS Nowra, at the rate of about three per month. On arrival in Sydney the crated Wessex were placed on low-loaders and driven slowly to HMAS Albatross. It was sometimes a tight fit – for example, to cross the Shoalhaven bridge at Nowra the tyres of the transporters had to be partially deflated to allow miniscule clearance under the bridge’s spans, before re-inflating for the remainder of the journey. Overall there was an air of excitement and anticipation at Albatross as the new aircraft arrived and were assembled. The general feeling was they were the mainstay of a reprieved FAA that would be further supplemented by the new Skyhawks and Trackers also on order. The first Wessex to be assembled in Australia was WA-200 (later designated N7-200) which was ground run on 19th November 1962 and test flown the following day. The aircraft was publicly shown off on 23rd November to an audience of journalists and cameramen from Sydney. Following assembly and a test flight the Wessex were then assigned to a Squadron: initially 725 Squadron for training purposes and then, as others arrived, to the newly-formed 817 Squadron whose primary role was front-line anti-submarine support. The first Search and Rescue (SAR) mission occurred on 11th March 1963 when GPCAPT Mather ejected from his RAAF Sabre jet near Lake Bathurst in NSW, and was reported as having landed near ‘a red farmhouse’. Fittingly, N7-200 (the first Wessex) was dispatched with two doctors aboard. The first red farmhouse they visited yielded only two dogs and a very scared cat. The second, however, produced a ute with a parachute in the back and the missing Air Force officer on the verandah sipping whiskey. The first SAR by the Wessex was a complete success! By August 1963 725 Squadron had nine Wessex and 817 had ten. At about this time the first Wessex embarked on HMAS Melbourne. Later, the aircraft would be embarked on other RAN ships in various roles. (In 1968 the Wessex helicopters were upgraded to become the HAS 31B (see later in this article)). Above: Wessex 31As in the Hangar Deck of HMAS Melbourne. 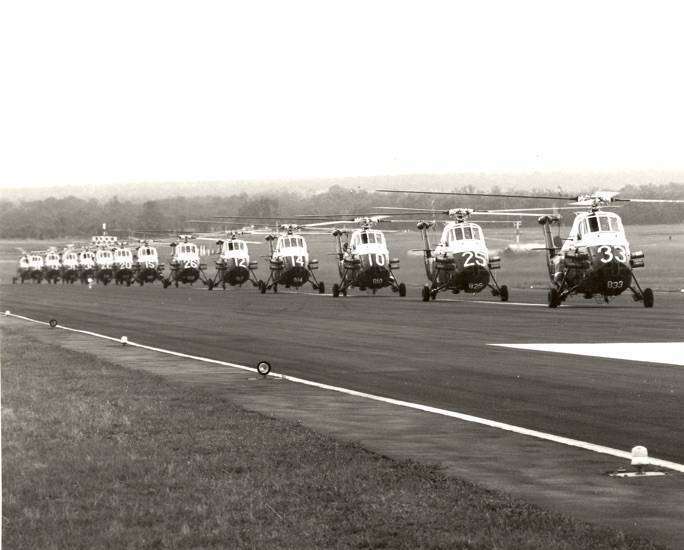 Below: Preparing for a formation flypast for their 21st Birthday in 1983. By then, eight of the original 27 aircraft had been lost to accidents. Given the complex security situation emerging in SE Asia and the need for mobile air support for the fleet, and Australian Army – the RAN’s shift towards anti-submarine work was seen by some defence commentators as a ‘Cold War’ strategy with little to do with regional security, but the following casts an interesting light on what was called ‘the submarine menace’ – in home waters. In 1963 when HMAS Melbourne was exercising off the NSW South Coast with several other vessels, contact was made with a ‘mystery’ submarine which had been shadowing the fleet. As its identity could not be established through normal channels a decision was made to have the submarine declare itself. So a Wessex dropped three percussion grenades near it – the recognised signal for a submarine to surface. As the sub did not respond and took-off at high speed, the conclusion was it was ‘not one of ours’. The speed of its departure also suggested an atomic sub. Because contact was soon lost its true identity remains unclear. At 2100 on 10th February 1964 HMAS VOYAGER was lost in a tragic collision with HMAS MELBOURNE, off Jervis Bay NSW. Wessex crews were recalled to Nowra and the standby SAR aircraft was scrambled at 2101 with a further aircraft airborne by 2130. The Wessex few throughout the night and although only two rescues were carried out by the aircraft, many survivors were located by the helos and the rescue boats directed to them. The ability to carry out over-water low level approaches in darkness was a capability that saved lives on that memorable night. During the 1960s and early 70s, with Australia’s commitment to the South East Asia Treaty Organisation (SEATO) and the Far East Strategic Reserve, HMAS Melbourne and other RAN ships held regular exercises with the Royal Navy, US Navy, Royal New Zealand and regional navies. During these ‘war games’ the Wessex helicopters demonstrated they were a very capable anti-submarine weapon. Using a combination of shipboard systems, the Wessex sonar, and fixed-wing aircraft – this provided a high level of protection from submarine attack. The advances in technology in submarine detection played an increasingly important role in those SEATO exercises. The following is an example of how a submarine can penetrate defences and remain unseen. On this occasion after exercising with a Royal Navy submarine the captain of HMAS Melbourne asked everyone on the flight deck to look out from the port side of the ship – and should anyone see a submarine periscope to raise their hand. Dozens of keen eyes scanned the surface of the ocean and with other warships sailing nearby; the focus of attention was on an area of several hundred square metres. After a lengthy pause the captain reminded everyone about the periscope, but still no sightings despite the many eyes scanning the wave tops. Finally, after about ten minutes, the submarine revealed its position by firing a flare, which to everyone’s astonishment was no more that 150 metres away. Because periscopes are small and their wake can be obscured by a choppy sea they are hard to see. This demonstration showed the limitations of the human eye – and the importance of sonar, radar and high-tech submarine surveillance. 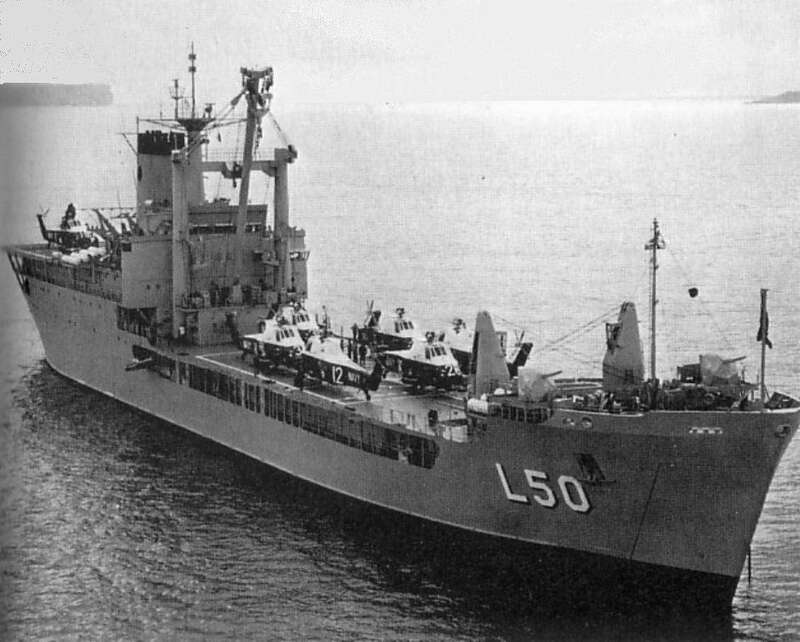 During Australia’s involvement in the Vietnam War, four Wessex helicopters were assigned to the former aircraft-carrier HMAS Sydney, which had been converted to a fast transport, ferrying troops and equipment to Vung Tau on some 24 occasions, escorted by other ships, including HMAS Melbourne in 1965 and ‘66. In 1967 the Fleet Air Arm was given a new lease on life when the RAN purchased the Douglas Skyhawks and Grumman Trackers and HMAS Melbourne was refitted. This gave Melbourne added flexibility with a strong anti-submarine performance and renewed strike capabilities. In 1968 with the view to extending the life of the RAN’s Wessexes – 21 of the helicopters were updated with the more powerful Mk 165c 1600shp Napier Gazelle engines for increased load and performance; a new ASQ-13 sonar; improved navigational aids and radar. These helicopters were known as the Westland Wessex HAS 31B, and were easily identified by the large dorsal hump behind the main rotor and ‘HUDAT’ AN/APA 161 radar for station keeping in ASW operations. Following the Darwin recovery operation MELBOURNE sailed for Exercise RIMPAC ’75. This was to be the last major exercise in which the Wessex would be used as ASW aircraft. On 6th June 1975 the Director of Naval Aviation Policy announced that HT725 would be disbanded from 11th June that year, HT723 would become a composite Squadron with the addition of four Wessex and HS817 would re-equip with the new Sea King Mk 50s as they became available. The remaining Wessex would be placed in storage awaiting conversion to a twin-engined utility helicopter. The twin-engine option was never realised, most probably as a result of the aircraft’s less than flattering ARL Ergonomic Report. The Wessex continued to serve in HC723 as a single-engined training aircraft, however, as well as providing SAR support for HMAS MELBOURNE and NAS NOWRA. In 1980 their number was increased to 14 to provide support to the Army in its offshore counter-terrorism role. It was in this role that the aircraft suffered its only fatal accident, when Wessex N7-215 suffered a catastrophic gearbox failure and crashed into Bass Strait with the loss of two lives. Wessex 31Bs aboard HMAS Tobruk in Jervis Bay. The aircraft had been grounded following a fatal accident and were being returned to Nowra. From their arrival until the surviving aircraft were withdrawn from service in 1989, the Wessex therefore served with distinction, operating variously with 723, 725, 816 and 817 Squadrons, on HMAS Melbourne, Sydney, Stalwart, Tobruk and Success; also with Australian Army in support roles. 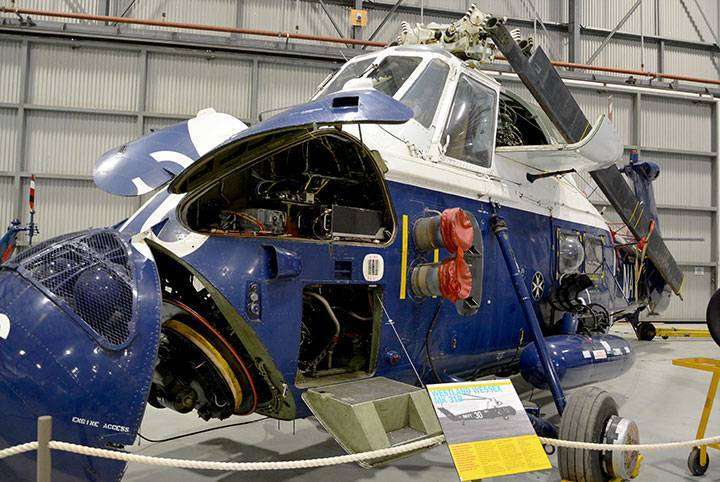 Today ex-RAN Westland Wessex HAS helicopters are found in several aviation museums across Australia, including the Australian National Maritime Museum, at Darling Harbour, Sydney; the Fleet Air Arm Museum at Nowra, and at Moorabbin, Darwin and Port Adelaide. *Variations in these figures can be found depending on the source: for example, the official RAN Sea Power article ‘Disaster Relief – Cyclone Tracy and Tasman Bridge’ suggests 7832 passengers and 244,518 lb of freight. The FAAAA wishes to acknowledge the input of LCDR Bob ‘Windy’ Geale whose brief history of the Wessex furnished some of the material above. Examine the History of each Wessex including photos, historical facts and, where available, details of the accidents and incidents they experienced. Examine a collation of documents regarding the Wessex: reports, stories & other items of interest. Read about the delivery of the Wessex with a collection of photos of their very first days.